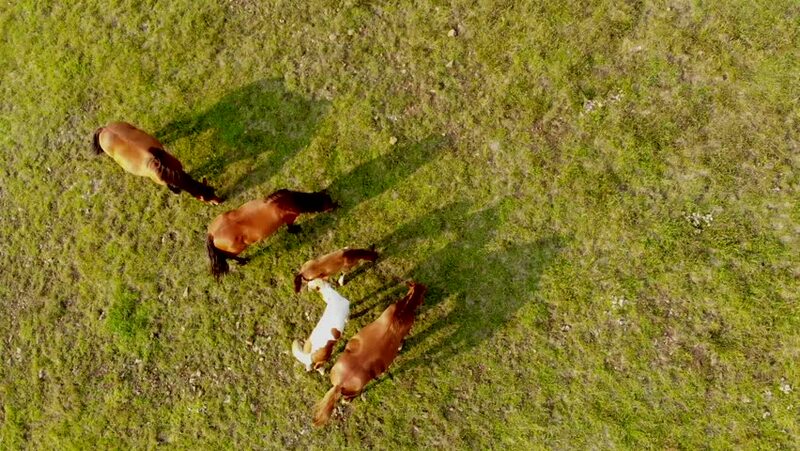 Wild horses on the mountain field. Aerial view. hd00:05Beautiful pheasant ferreting and sharing food with squirrel. Small red cheeked squirrel sitting close to large Silver Pheasant without fighting.